PerkyHobby: Rolls are the new ABs ?! Rolls are the new ABs ?! Hope you are all doing good! If you ever wonder why I have not been heading up lately?! Well, I'm busy as a beaver these days, that I could hardly find time for crafting. 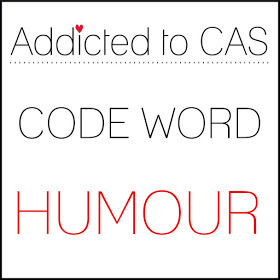 Anyhow, today I wanna share a funny cas card with you all, as it's time for a new challenge over at ATCAS blog this fortnight. Ma-mi is our guest Designer and Susan is our hostess, she chose Humour as the codeword. Any pug lover would love this card. Don't they?! 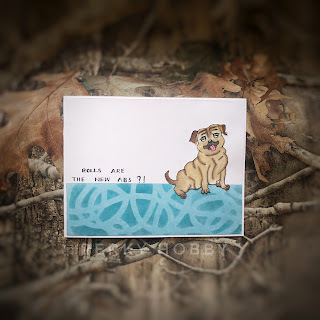 Pug is illustrated by me and grounded by ink stenciled BG. Hope you all liked it. For more inspirations from DTs, kindly hop onto ATCAS blog. Waiting to see how you are all going to lnterpret the code word. Raga, I love your sweet little pug - and that sentiment :-) Made me laugh. Such an adorable illustration, lovely card. This really tickled my funny bone, Raga. The sentiment made me laugh. Love it. Wonderful illustration of your pug, Raga. If only that sentiment were true.